Many of us grew up simply accepting the things we were taught in Sunday School. After all, what did we know about critical thinking and logically analyzing the information we were given? So we learned that God created the earth in six days and rested on the seventh day, and we didn’t question it. We learned that God sent a great big flood to wipe out humanity. We learned that God told Noah to build a very large boat. We learned that Noah took two of every kind of land animal (and seven pairs of clean animals) on board with him. And we didn’t question it. But then we grew up. And we began to second-guess the Bible. We found ourselves at a loss when other people questioned us about this grand story of creation and a worldwide flood. With our increased exposure to all sorts of skepticism, we begin to consider going along with everyone else who didn’t grow up in Sunday School and think of the Genesis account as totally absurd. Somehow, the idea that God would instruct a man to build a floating zoo just seems too far-fetched to the minds we like to pride as logical. Thanks to years of research in science and theology, Answers in Genesis (www.answersingenesis.org) is an apologetics ministry made up of experts in the relevant scientific and biblical fields, and is able to present us with… well, answers. On June 1st, Bro. Steve Ham, Senior Director of Outreach for Answers in Genesis, gave a talk at Grace Community Center here in Kuala Lumpur that provided solid scientific evidence for the seemingly unfathomable worldwide flood that Noah and his family survived. Bro. Steve began by introducing a live sized replica of the ark that is currently being built in Kentucky. The theme park, called Ark Encounter (www.arkencounter.com), will be opening next month, and its purpose is to show people the plausibility of the ark and the flood, and to counter the assumption that the story of Noah is no more than another myth. Just by studying the dimensions of the ark, we are able to see the scientific credibility of Scripture. 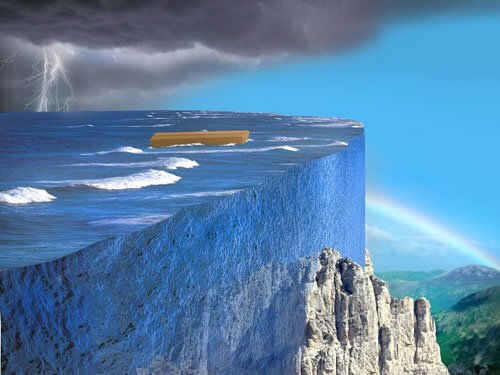 Unlike other ancient documents that speak of flood accounts, the Bible is the only one that provides the exact specifications for a vessel of maximum stability, strength, and comfort that would be able to house and preserve mankind and land animals in tumultuous waters over a length of time. 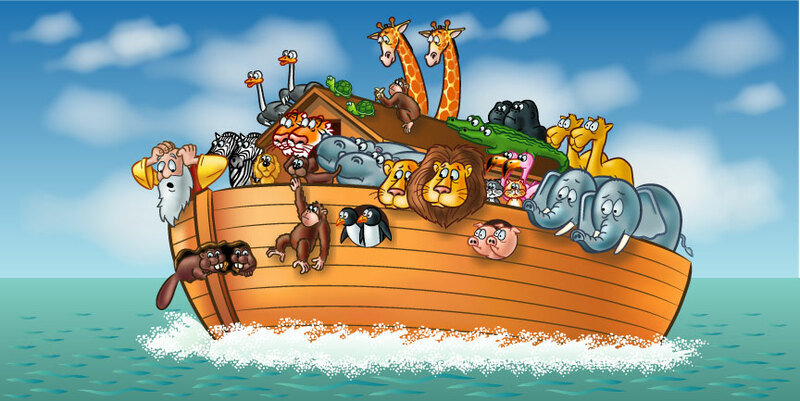 One of the most commonly raised questions regarding the ark is how Noah fit all the animals onto the ark. Based on all the different kinds of animals we have today and their variations, scientists have calculated that only about 7000 kinds of animals had to be on board that ark—animals with all the necessary genetic information that would give us the numerous species/breeds we have today—and the average size of these animals were that of a sheep. The ark was 510 ft. long, and 85 ft. wide. That is the size of about 1½ (American) football fields. So if you do the math, 7000 kinds of animals the size of sheep in a boat that is the size of one and a half football fields and four storeys high would give them plenty of room to pen the animals in and store food. But what about dinosaurs? And elephants and giraffes? The answer is quite simple, really. All of these animals may grow up to be really huge, but they had to be little at some point. Even a giant T-Rex had to hatch out of an egg. Therefore it is unlikely that Noah took old, fully grown animals that were close to death with him. Instead, he took young, smaller animals that would be able to repopulate the earth! So why is the story of Noah and the flood so vital to our Christian faith? Based on the Biblical genealogical record, Noah’s flood took place about 4,400 years ago and this goes head on against the general assumption that the earth is billions of years old. 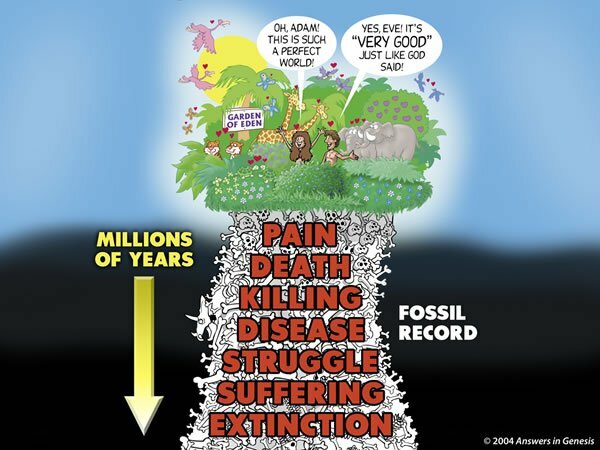 If the rock layers (which are filled with fossils depicting death and disease) are millions of years old, then there is death before sin in the Garden of Eden. This is not theologically acceptable. More about this later. Understanding the flood and six days of creation validates the historical reliability of the Bible, and therefore, the Gospel as well. However, if we are not able to even believe the first few chapters of the book we claim to be God’s infallible Word, we may find ourselves going down a slippery slope where we pick and choose what constitutes truth in the Bible. Jesus, Peter, and the author of Hebrews all made direct references to the flood as an actual historical event that took place. So here’s the deal. Scientists have found “billions of dead things buried in rock layers laid down by water all over the earth.” That is the physical evidence the earth has shown us. Yet, evolutionists explain these rock layers and fossil records to be a result of millions of years of layering because of the assumption of uniformitarianism – where there is no allowance for a catastrophic event (like the global flood). “This is the crux of where the Christian worldview meets the evolutionary worldview,” Bro. Steve said. 2. “Millions of years” do not fit into the genealogy. If we add up the numbers between Jesus and Adam, it is about 4000 years. We know that it has been 2000 years since Jesus walked the earth, so 2000 years + 4000 years = 6000 years, and we have the beginning of creation. So where will we insert these fossil records if it is not by a global flood? If we’re talking about millions of years, the only place that we can try to fit it in, is into the pages of Genesis 1. On the seventh day, God rested, and the Jews understood God’s law to rest on the Sabbath according to the creation week. We get all the indications from Scripture that these are normal days (Exodus 20:11). Well, say we choose to ignore that, and go ahead with the notion that the six days of creation spanned over millions of years. If Adam, the first man, was not created until 6000 years ago, the millions of years would have to fit into the ‘first five days’ of creation. But here’s the thing to consider: If “millions of years” are based on the fossil record, we need to think about what the fossil record actually is: Dead stuff. In those layers, there are fossilized evidence of brain tumors, cancer, and arthritis. In those layers, there are fossilized thorns and thistles. In those layers, there are fossilized carnivorous activity—of animal bones inside other animals. In those layers are evidences of the consequences of sin—of a cursed world, filled with pain, suffering, and death. Then came ‘day’ six, and God created man… “And saw that it was very good”? What? How is that possible? By putting thorns and thistles, carnivorous activity, pain, suffering, and death before sin entered into the world, we are putting the consequences before the cause. We cannot have two opposing views at the same time. As we look at the rocks and fossils, we need to understand that this is the complete opposite of the worldview we have been given by secular scientists who tell us that this earth is billions of years old. Noah’s flood happened about 4400 years ago. When we look at most of the fossil records around the world, we’re really looking at things that formed around that time. Not millions of years. When the entire earth is covered with water that recedes after 150 days, we should see wide scale deposition of sediments that have continental scope. And we do! Thousands of feet above sea level, in the middle of Arizona, marine fossils can be found in the sediments. And on the same level across the countries of the world, the same types of layers, made up of the same kinds of sediments can be found. The deposition of fossils and the levels of layering are wide scale. 2. Rapid burial of creatures and plants. Many fossils are broken and jumbled, indicative of catastrophic burial as a fossil graveyard. 500-800 ft. thick, these fossilized creatures are thrown together in immense layers. Bro. Steve proceeded to show fossils of sea creatures buried next to land plants, of a blossom next to a wasp, and of a toothed whale next to a possum. All over the world, creatures and plant life that do not normally live in the same habitats are found buried together—insects, fresh water mollusks, fish, birds, and several hundred plant species including nuts and blossoms—all beautifully preserved, showing mass destruction that happened very quickly. Other fossils that show the rapidity of the burial include big fish in the process of eating smaller fish, and an Ichthyosaurus (marine reptile) giving birth to a live young, and the intricate preservation of a jellyfish (soft tissue)! We see evidence of flood in the layers and strata, and aspects of erosion. When we look at the sand stones, the layers are often straight, clear cuts. 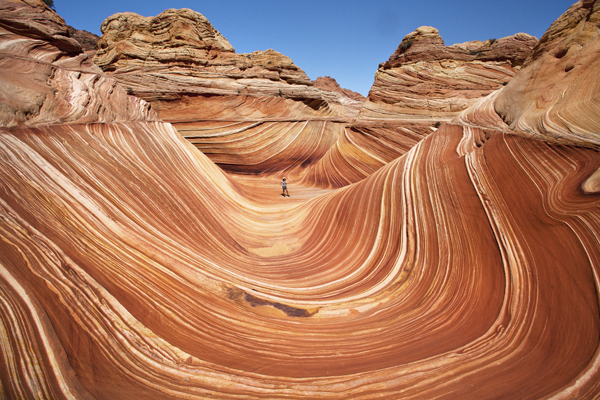 If there were millions of years between the layers, they wouldn’t be straight lines, and they would be much thicker. The thin, straight layers are evidence of rapid sedimentation. There are also signs of rapid erosion—of water cutting through the rocks very quickly. 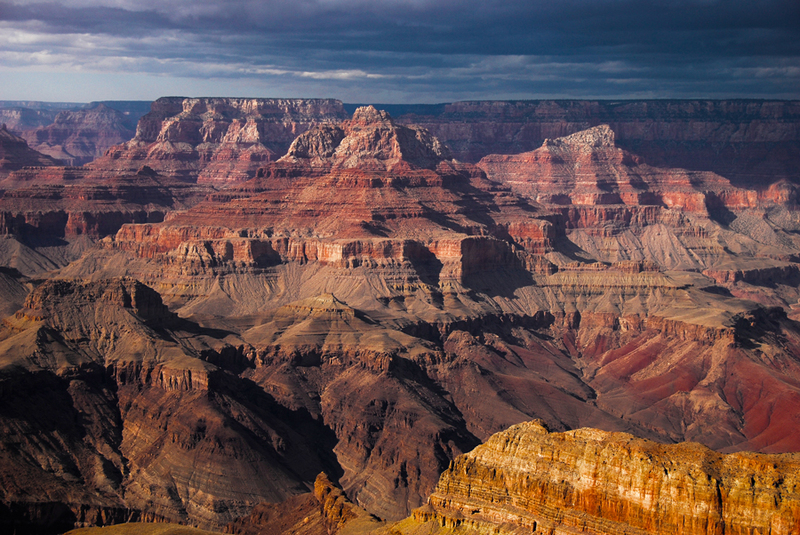 If you take a wide view of the Grand Canyon, you can see that the horizontal layers are very straight. If there were millions of years in between them, you would expect to see millions of years of erosion all through it. They wouldn’t be straight. But what we see are straight segments, in layers, with continental depositions all over the world. Evolutionists have tried to explain this as lots of local floods around the world, around the same time. Why not just believe the Bible that there was a global flood? We don’t see evidence of long-term erosion (wavy lines), which means that there is no evidence for millions of years. Additionally, some rocks are bent. There are only two ways a rock can be bent without breaking: It was still wet (mud), or if it was under intense heat and pressure. However, heat and pressure that is intense enough to bend the rock would change the composition of the rock, which is not the case. Studies have claimed that each layer of rock took millions of years to form, over the course of 300 million years. The first layer was formed about 520 million years ago. These studies also claim that the folding only happened about 70 million years ago, 450 million years after the first layer was deposited. But the folding of multiple layers without cracking is impossible, as they would have hardened by then. While inserting a vent underground in a coalmine in Australia, workers came across a once molten volcanic rock layer that was believed to be millions of years old. Entombed in this layer, they found preserved wood—the remains of a tree. Scientists used two different methods to calculate the age of the rock and the wood. Through radiometric dating, they measured that the rock was 45 million years old. But the wood, measured through radiocarbon dating was 45 thousand years. So we have 45 thousand year old wood buried under 45 million year old rock. How is that possible? There are modern catastrophic examples that show the same sort of things that we see from the flood. 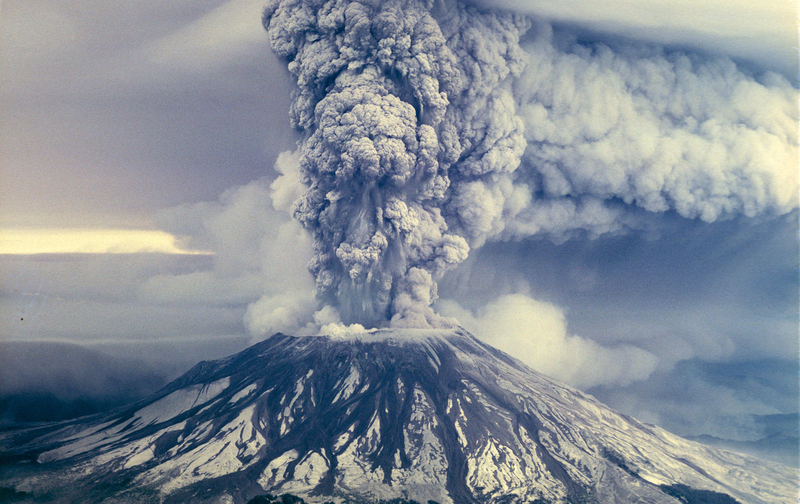 Mt St Helens erupted in 1980. It was an explosion of magnificent proportions. The original blast was followed by landslides, volcanic ash, mudflows, steam water… it produced complex sedimentary layers up to 600 ft thick. In just hours, thousands of individual, varied layers were laid down. In the Yellowstone national park, there are petrified forests that are believed to have formed over millions of years. When Mt St Helens erupted however, the trees that were ripped apart from the explosion sunk to the bottom, upright. Layers of sedimentation settled and petrified these trees, showing that that petrified forests are a result of rapid burial. All of these things point to a global, catastrophic flood, and we have a historical document that tells us about a global, catastrophic flood. We don’t have to be intimidated by science. We can hold fast to the Word of God. We can believe the history in God’s Word. We have answers in the history of the Word of God for the physical world in which we live. The history actually corresponds to the physical world. And it tells us something. That we’re a mess. Living in a corrupt world because of our sin. A cursed world. And God judges sin. And is going to judge again. Next time not by flood, but by fire. All the history of the physical world point to the history of the Gospel in the New Testament! God, because of His great love, came to die on the cross in our place, rise from the dead, conquering death and sin, so that If we repent and believe in Him, we can be saved from the coming judgment. The message of the Gospel is true because the history of Scripture is also true – beginning from the very first verse.